Convertible car hire Playa del Cura Gran Canaria. We compare prices from Gran Canaria’s leading rental companies. Our philosophy is simple, the best quality at the lowest price on your car rental. Our prices on hire always includes unlimited mileage, and all necessary taxes and insurances. 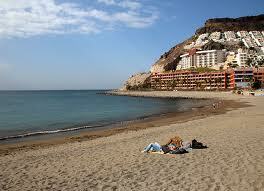 Use the search engine below for guaranteed best price on convertible car rental Playa del Cura Gran Canaria in Spain. One of the lesser known areas in the south of Gran Canaria called Playa del Cura. This small resort is about 20 minutes walk from Amadores and Tauro. Here there is a small shopping center with some shops and restaurants, the Greek restaurant on top of the center can clearly recommended. A few hotels are also in this area, but no more than between 10 and 20. Playa del Cura can be recommended if you want a small place where it does not happen all the things of the world. 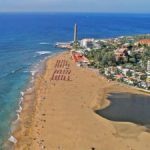 The beach here is not the best in Gran Canaria, but it runs fine ann poking away at Amadores if you want a little nicer beach. 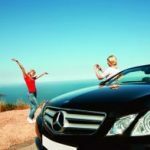 If you need car hire in Playa del Cura, its easiest to order the rental car online and pick it up when land at Gran Canaria Airport. Then you easily can return the car when traveling back to your home country, and you do not need alternative transportation to and from airport. In most cases, this is less expensive than using small local car rental supplier in Playa del Cura. Use the search engine above for guaranteed best price on car rental in Playa del Cura. An advantage here is clearly climate. Both in terms of hours of sunshine, air quality and wind. It blows almost never here and microclimate is the best on the whole of Gran Canaria. One thing that is important for the Norwegians when they go on holiday, is clearly the safety of sun on your journey. The stretch from Arguineguin to Puerto de Mogan is just this, namely the most solsikre place on the Canary Islands. Playa del Cura is well suited for those who want to stay a bit remote and outside the main tourist machines on this great Canary Island. Good Vacation! 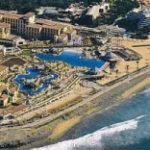 This entry was posted in Car hire Gran Canaria, Car hire Playa del Cura, Playa del Cura and tagged Car hire, convertible, gran canaria, playa deñ cura, Spain on 2nd February 2018 by Vera.